This is a residential program providing accommodating and comfortable living spaces in a spacious compound overlooking mountainous scenery filled with serenity. The course is also inclusive of yogic food for the practitioners, 3 meals per day, to sustain them healthily during the training. Along with yoga, a range of Ayurvedic culinary specialties in a thoroughly nutritious vegetarian diet plan will satisfy tastes and restore health in the participants systematically over this month-long program. In Nepal’s Pokhara, a perfect slice of heaven nestling amidst blue mountains and crystal waters of alpine lakes is our venue for 200 hour yoga teacher training in March 2018. 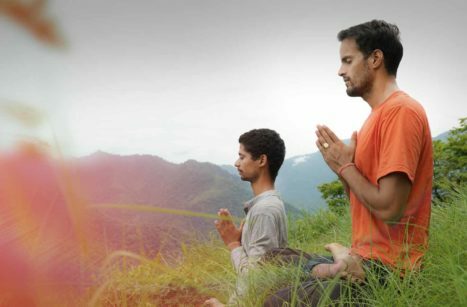 A blend of different asana stylistics (especially Hatha and Ashtanga Yoga ), study in history and philosophy of yoga as it evolved in India, meditation and pranayama breathing lessons, and more such relevant yoga topics make this course a compelling one for all those out there interested in understanding yoga at depth. The course also awards valuable certification by virtue of which graduates can register with the Yoga Alliance and start their own classes. This is a residential program providing accommodating and comfortable living spaces in a spacious compound overlooking mountainous scenery filled with serenity. The course is also inclusive of yogic food for the practitioners, 3 meals per day, to sustain them healthily during the training. Along with yoga, a range of Ayurvedic culinary specialties in a thoroughly nutritious vegetarian diet plan will satisfy tastes and restore health in the participants systematically over this month-long program. 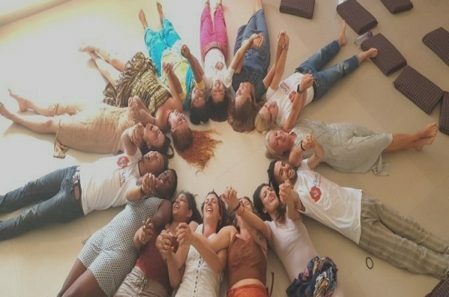 A sense of community living with fellow yogis and teachers during this residential one month program will bring you closer to likeminded people and open up new avenues in good thought and practices. 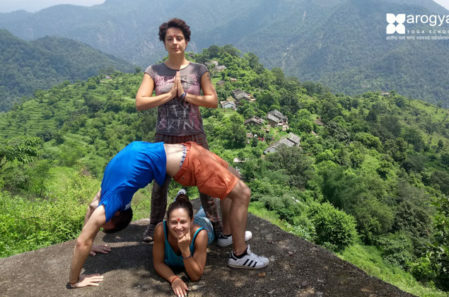 Our faculty of yoga pedagogues are varied in their styles and approaches, with one thing remaining same—their traditional Indian lineage of yoga. Most of them are graduates from prestigious yoga schools of India like the Mysore School and Bihar School of yoga. We also have those from the path of yogic renunciation sharing with us their wisdom. 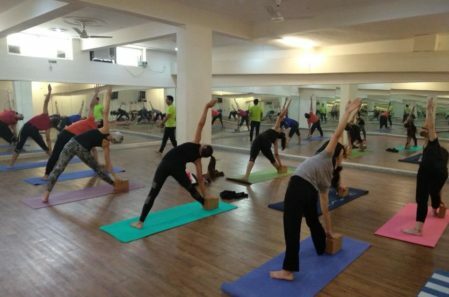 Vast years of unparalleled experience, love for yoga, and traditional upbringing distinguishes our teachers. In their friendly and compassionate presence, you can open up and clarify your notions about yoga and life freely and flamboyantly. We have designed the course to keep some leeway for fun and frolic, because unalleviated physical and intellectual labor of the training days could be taxing. Pokhara being a godly land has amazing opportunities for refreshment and joy. 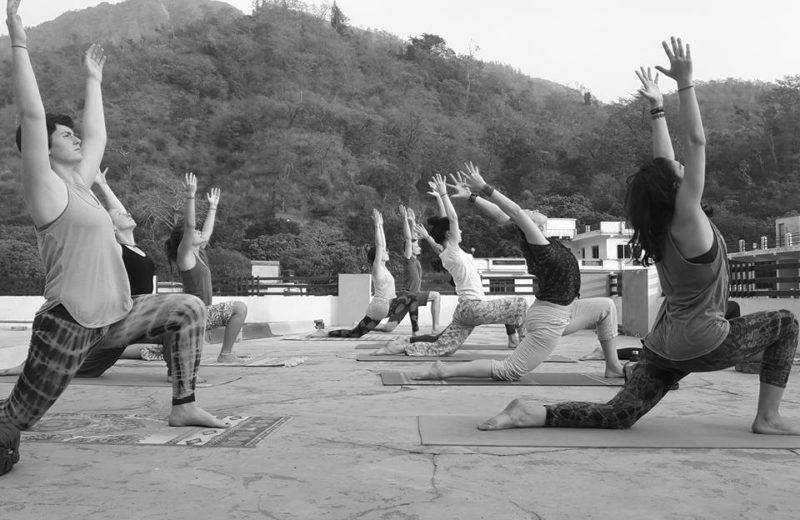 During the period of the course, you will have outdoor yoga sessions in Sarangkot, a high-altitude sunrise point. Observing Suryanamaskara here makes a rousing experience of a lifetime. Other than this, there are countless local trips in nature and adventure activities to cover in Pokhara, all this fun in part of our Pokhara 200 hour YTTC in Nepal in March 2018!